At Alectra Utilities we ensure that extra crews are available in the event of power outages caused by bad weather. We also urge our customers to be prepared if a service interruption occurs. When a storm approaches, we encourage everyone to stay tuned to local radio, TV, The Weather Network and our website for updates and alerts. We regularly update social media: Twitter, Facebook, and an outage map of Mississauga on the Alectra Utilities website. Alternatively, we can be reached at 905-273-9050. Report downed powerlines – and stay well away. 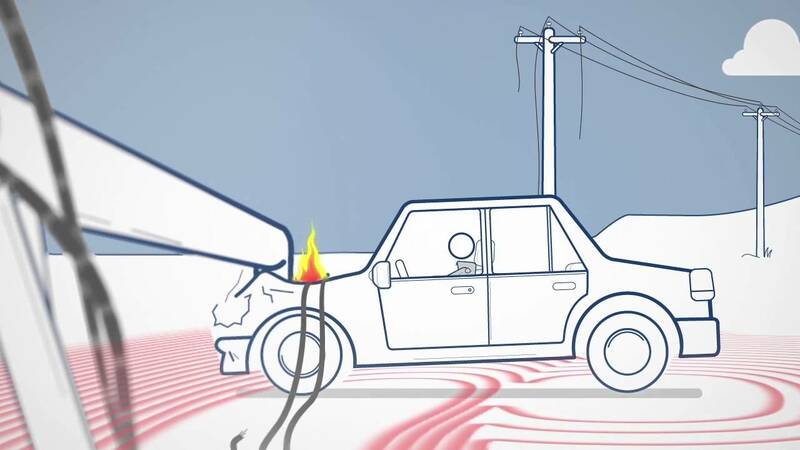 If a powerline lands on your vehicle, remain inside until emergency responders arrive. Exiting a vehicle that has been contacted by a live powerline is extremely dangerous. Similarly, do not attempt to assist someone in a vehicle touched by powerlines. If you see damage to electrical equipment in the area, refrain from clearing snow, ice or storm debris until power is disconnected or powerlines are repaired. Avoid driving in damaged areas. You might interfere with rescue or restoration efforts, as well as jeopardize your own safety. Unplug appliances and electronics, and turn thermostats down to a minimum to protect them from power surges when power is restored. Prepare an emergency kit that includes items like flashlights, new batteries, a battery-operated radio, candles, candlesticks, matches, a manual can opener, canned food, bottled water and blankets. In the kit, don’t forget to include some food for your pets. Store the kit in a dry, easy-to-find place. Leave one light switch in the “ON” position so you’ll know power is restored. Check on friends and neighbours – and offer help if they need it. Limit cell phone use to conserve battery life. If you use candles, keep them away from curtains or other flammable items. Never walk away and leave candles burning, and be sure to extinguish them once the power is restored.